When Tim Ralston died in 2010, his wife Mary Kay Keller Ralston and daughter Mariah Ralston Deragon went through his thirty-plus years of poetry, which he often scribbled on the backs of receipts or on other scraps of paper. They chose a group of poems for a book of his work, often needing a magnifying glass to read the words. That book, Tributaries (Buffalo Commons Tavern, 106 pp. $16, paper), is a labor of love. Tim Ralston enlisted in the U. S. Air Force in 1970. He served as an English language instructor in South Vietnam, and received his honorable discharge in 1974. He wrote poems during the long period of time between his service in the Vietnam War and his death. These words made me hopeful that I would encounter much more in the book about—or at least flavored by—the Vietnam War. But I found very little more that dealt with the war. Still, there was a lot well worth reading, including a poem with Norwegians eating lutefisk and lefse, and folks eating “Gooseberry pie/Puckered with rhubarb sauce.” My poetic hunger was more than satiated by these references and many more that were equally powerful. Buy this beautiful little book and savor the many flavors of poetry that Tim Ralston engraved on scraps of paper—and left for us lucky readers. For ordering info, send an email to Buffalo Commons Tavern. Walter McDonald describes Elser’s poetry as “fierce.” McDonald, a former Vietnam War USAF pilot and an acclaimed poet, ought to know. Hell—he does know. Most of Elser’s poems have” flashbacks so intense they don’t let me go. And isn’t that the point?” McDonald asks. Yes, that is the point. “Helicopters carrying memories” could have been written by me about my life here in Maple Valley, Washington—if I were a better poet. and to painful memories I can’t forget. into combat in Iraq and Afghanistan. painful memories they can’t forget. Some days it seems as though helicopters of one sort or another spend all day flying over my house in Maple Valley. You’d think I was in the flight path of an airport in a major war zone. 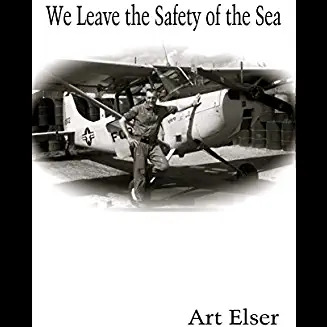 Elser’s poetry summons up my war memories as effectively as those noisy helicopters do. More so. Elser’s A Death at Tollgate Creek: Songs of the Prairie (Walker Doodle Press, 91 pp., $12.95, paper) is proof that he can write excellent non-war poetry. Still, the poems in this collection are also filled with images of sadness and loss. I guess I should have expected that from a man who spent two decades as a pilot, including a combat-heavy tour in the Vietnam War. Writer and historian Adam Gilbert’s purpose in A Shadow on Our Hearts: Soldier-Poetry, Morality and the American War in Vietnam (University of Massachusetts Press, 304 pp., $90, hardcover; $32.95, paper) is to deepen our knowledge and understanding of the Vietnam War through an examination of the poetry produced by those who fought in the conflict. Looking at the poetry “through the lens of moral philosophy,” Gilbert notes how historians of the war have all but neglected it. He quotes from almost 400 poems by more than sixty “soldier-poets.” I know many of the poets and have met many of the others. I should note that I am predisposed to love this book as my name is in the index, and the author writes positive things about poets and poetry I have a high opinion of. With a book of this sort, I always first go to the index and look for my name. And there I was. Next, I look for the name of my closest friend, a poet of the finest sort, but one often overlooked because he is a novelist and poet-novelists often are unfairly given short shrift. Gilbert makes the point that he deliberately has not included certain sorts of poets, and I am one of them. I was not a “soldier” according to his standards, even though I was drafted into the U.S. Army and served in the Vietnam War. But I was a REMF. In his eyes, I was far removed from the role of soldier. It hurts my feelings, but I won’t let that cause me to say bad things about this fine book. Few “real soldiers” have suffered more pain that I have during the last ten years while I’ve been dying from Multiple Myeloma, but I was not in combat in Vietnam. Agent Orange, which caused my bone cancer, was there in Vietnam during the war for all of us. I found it pure joy to read what Gilbert has to say about DS Lliteras, W.D. Ehrhart, R.L. Barth, Horace Coleman, David Connolly, Yusef Komunyakaa, Leroy Quintana, Dale Ritterbusch, Bruce Weigl, and many other poets I have met, spent time with, eaten dinner with, given readings with, and so on. I loved this book and think others will too, while learning a lot about the Vietnam War and about what its veterans think about it while we are seriously reflecting and pondering upon it. I apologize for making this review so personal, but I fear that if I don’t, potential readers will turn away from the book, thinking it too scholarly and serious to be fun to read. Yes, much of this book was far from fun to read—and wasn’t intended to be fun—but the book still is engrossing and even enthralling in parts. I highly recommend A Shadow on Our Hearts to all who have a serious interest in learning more about the Vietnam War and about the people who went off to that war, not knowing what to expect, but dealing with it when they got there the best they could. Rosenbloom sees his poems as “a lyrical analgesic to others who bear some degree of residual shame for that era.” He goes on to write that “the war machine thrives today as it has never thrived before.” I can’t argue with that. The man in this poem is not exactly me, but he’s close enough so that I don’t need to write that poem myself. The other poem deals with the Seattle VA, a place where I’ve spent a lot of time having my head examined—and if not my head, what’s left of my feet. Fred Rosenblum says that the place is “sort of institutional dump that had the feel of incarceration.” He nailed it, for sure. In his poem, he runs into a friend from the past, just as I have several times. I was born in Seattle, educated in Seattle, and drafted in Seattle, so it’s no kind of miracle that I’d bump into folks at the VA that I’ve known off and on for fifty years. Thank you, Fred Rosenblum, for writing these poems. He refers to “the Duke” in these pages, the man that many young men sought to emulate by becoming Marines. Sad fate for them, which reminds me that Lee Ermey just died—the Drill Instructor in Full Metal Jacket, from the book by Gus Hasford, a man I’ll never run into at the Seattle VA, as he’s long since dead. RIP Lee and Gus. Parrhesia is a Greek word that means “to speak candidly or to ask forgiveness for so speaking.” It first appears in Greek literature in Euripides. It implies freedom of speech, as well as the obligation to speak the truth for the common good, even at personal risk. Bagwell is a Marine Corps veteran of the war in Vietnam. He was in Vietnam seven months, from January-July, 1969. He had enlisted in the Marine Corps at 17 in June of 1968 and was out of Vietnam by age 19. “I do not believe war is anything but human choice embedded in lazy acquiescence,” he writes in this unusual book. I don’t know what day, what time, what killed me. I didn’t know I died. No NVA bullet touched me. No shrapnel broke my skin. Jungle rot? Yes, to the bone on both shins. My five senses seared deep inside my skull. I used to think I had escaped. I used to think I had survived—I didn’t. This is one of Bagwell’spowerful, accessible poems that hit hard and take all readers as prisoners. You won’t be unscathed by this reading experience. Near the end of this book is a full page photo of Tim Bagwell. He is an old man with a huge, fluffy white beard. He’s wearing a black beret, and is surrounded by artifacts and shelves of books. He looks like I wanted him to look—wise and grim and beyond war. Good for him. Thanks, Tim Bagwell, for a great book.